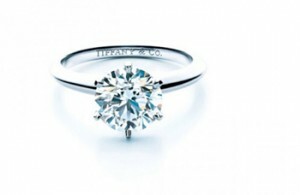 Tiffany & Co surprised once again celebrating its 175th anniversary with Platinum at Tiffany, jewelry and wedding dresses made in the most valuable material for a dream collection. Presented During a two-day boutique in Milan in Via della Spiga in Milan and the Excelsior, at Tiffany Platinum is a celebration of platinum in all its beauty: the material has been applied not only in new jewelry but also in signed by the bride wedding dresses creative stylist Mauro Adami. 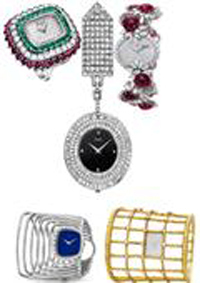 The jewelry is so dedicated to platinum and women in line of outstanding beauty, which combines the splendor of the precious metal and craftsmanship of a tradition that has lasted for 175 years. Tiffany has celebrated its 175th anniversary with a number of Initiatives: the house is an important milestone that has been highlighted this year with new creations. In Additions to the great classics of Tiffany as diamond engagement rings, a classic of the house, here is the wedding dresses, made of platinum. The choice of platinum is certainly not accidental: Tiffany & Co has always had a great love for the material, rare and precious, so much so that in 1926 the United States ADOPTED the title of the purity of platinum Tiffany as an official title of the country. Since 1886, the platinum appears in the creations of jewelry: it was the same Charles Lewis Tiffany to create the first engagement ring in history, the Tiffany Setting in platinum, with six brand to enhance the purity and brilliance of the diamond. The brand has also in. Also enhanced the platinum engagement rings other creations: Jean Schlumberger for example, has signed jewelry inspired by nature, in Additions to the two well-known for the legendary frames in platinum Tiffany Diamond, one of the most extraordinary yellow diamonds in the world, Such as the Ribbon Rosette Necklace, worn by Audrey Hepburn for the promotion of the film ‘Breakfast at Tiffany’s’ and the original brooch Bird on the Rock. Platinum, However, has some unique features make it possible to Achieve that with just a gram a long thread about 2 meters. Additions In it is pure and is much more rare than gold, as well as having a luster that Particular enhances the purity of the diamond. These characteristics are born also the wedding dresses presented by Tiffany in collaboration with Mauro Adami, creative soul DOMO ADAMI. The clothes are so classic made in platinum with full skirts, ruffled fluffy tulle, next to the model in white satin cut on the bias created by the iconic chain strap with Platinum collection diamond by the Yard designed by Elsa Peretti for Tiffany & Co.
A collection celebrating The House That will delight brides and all women.